What do you get when you mix cats with puff paint? A cute little sweatshirt for my niece, of course. Once upon a time when I was a wee little girl, I had a favorite sweatshirt. It was pink and short sleeved. And, as if that wasn’t enough to make it the best sweatshirt ever, it was appliqued with colorful bunny that was outlined in puff paint and jewels. Yes, puff paint and jewels. When I saw BurdaStyle’s Girl’s Long Top 12/2011 #141 pop up in my reader a month or two ago, my heart leaped: my long ago favorite sweatshirt – with pockets!! I immediately started plotting a gift for my niece. I knew I had enough of the oatmeal knit from Fine Fabrics that I’d used a year ago for my Renfrew cowl, so I was all set for fabric. But, what about the design? While the eagle on the above top is fabulous, I wanted something that screamed, “I’m the niece of someone who grew up in the 80s”! Enter applique. Enter puff paint. And enter cats. Hello, 80s. I heard you were back in fashion. This is totally what you meant by being back, right?! I based my cat applique off of a similar cat I’d seen on a display bag in my neighborhood quilting shop, Eddie’s Quilting Bee. 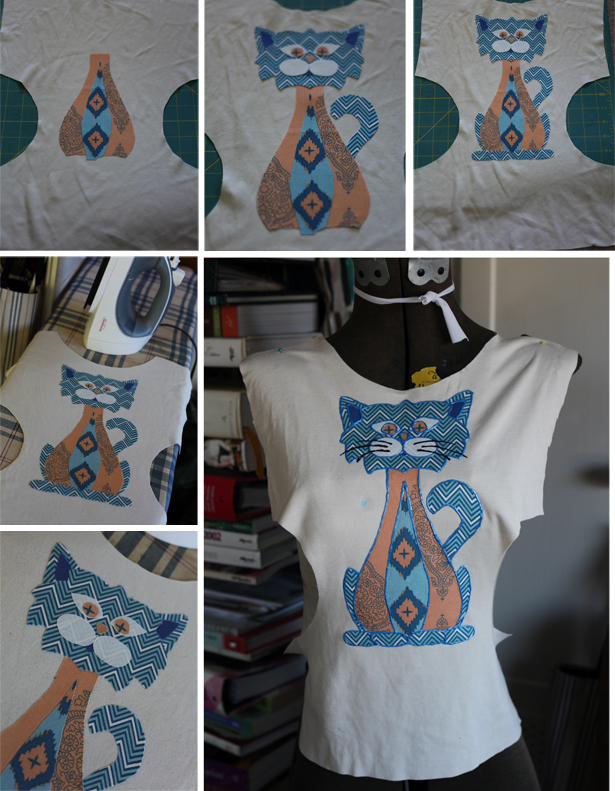 After sketching the cat out on paper, I cut out each of the pieces to make my pattern. I then played with the quilting cottons I had on hand from the Craftsy’s 2012 Block of the Month class until I was happy with the design. I chose to make the head, ears, feet, legs, and tail all the same pattern so that all of the patterns wouldn’t be too overwhelming. 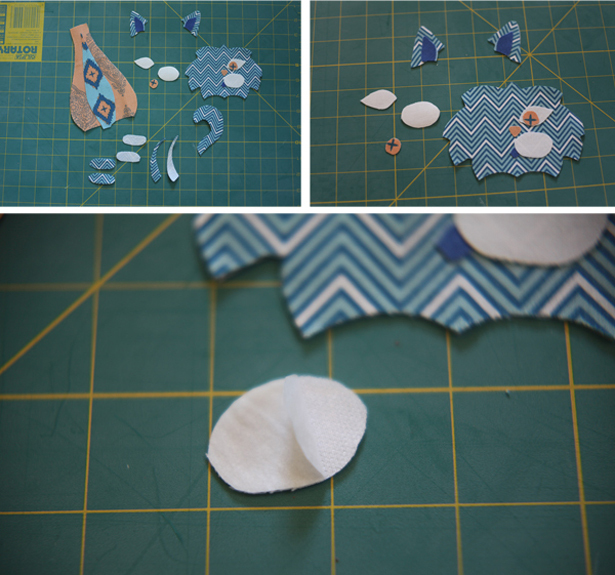 I then used my pattern to cut out my fabric pieces and my secret ingredient: Steam-A-Seam 2 . Steam-A-Seam 2 is wonderful for applique because it temporarily sticks to fabric with a little bit of pressure. You can move pieces around as long as your heart desires, and then when you’re happy with the layout, you can permanently affix your applique to your garment with the heat from an iron. It comes with two backings. The one that’s easiest to remove comes off first, and then it’s pressed on to each of the applique pieces. Then, the slightly harder to remove backing is taken off. In the large image above, I zoomed in to try to show you the texture of the Steam-A-Seam 2 on the back of the cheek. I then positioned it onto the cat’s face and pressed until it held. As I built the face up, I moved pieces as needed until I was happy with the layout. Once I had the head together, I started positioning everything on the front of the shirt, building up the cat piece by piece. When I was happy with it, I gave it some heat from the iron to fix it in place. Then it was time for the puff paint. If you attempt to make your own puff-painted applique (you need more puff-painted applique in your wardrobe, I promise! ), I’d highly recommend a bunch of practice first. Not only so that all of your lines will be even, but also so that you figure out how to keep from dragging your hands through it. I was trying to be oh so careful, but I still managed to get it all over everything. Most spots I could blot out, but there was a tiny little heart shaped one just to the left of the top of the belly that persisted. The worst was right at the neckline, but I just cut it off. Hopefully my niece won’t mind a little extra scoop in her neck. Less messy ways to decorate the edges of the applique may have included thread, just in case you’re looking for alternative methods. I love the finished product. It reminds me of my own from years ago, minus the jewels and professional puff paint job, but plus the cat and the awesome pockets. I mean, what little kid wouldn’t love a secret kangaroo pouch? I know I would have. This little sweatshirt is currently winging its way up to my niece. Here’s to hoping she loves it half as much as I loved mine! This post can also be found on BurdaStyle’s blog. I received the pattern for free from BurdaStyle. Get outta here! This is so sweet and creative! Nice work. I love it! I must have missed this on BurdaStyle, but thanks for pointing it out. I might have to do some niece-plotting of my own 🙂 And I didn’t even know they still sold puffy paint! Ha! Yep, puff paint is still around. Crazy, right?! This is so cute! =) It will look adorable on her. Adorable!!!!! You have some graphic skills, too! I agree, I love Steam a Seam 2. That is so, so awesome! 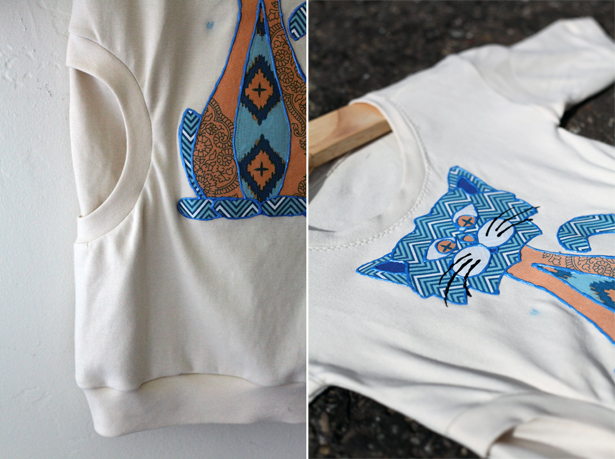 I had a favorite sweatshirt with a puff paint cat as a child, too. It also came with matching socks that had cat paws on the front. I loved them. Man, I was a dork! Definitely a dork here, too. 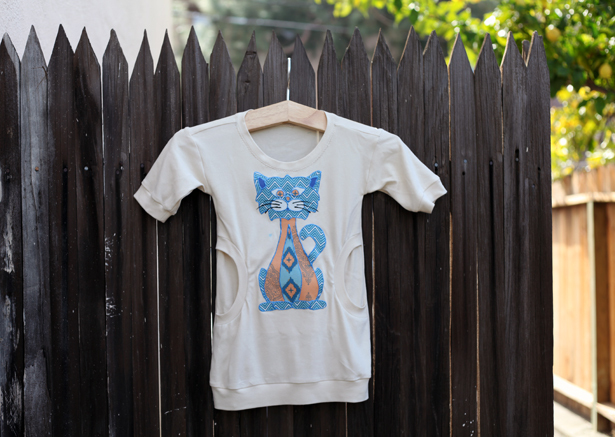 You’ll soon be able to make puff painted garments for your own little one. So exciting! This pattern is on my make list for winter for my kids. Yay its a goodie and I love the little kitty. All out cute. It’s an easy pattern. I tacked down the pocket under the cat since I was worried she might get into the shirt with the pocket bag behind her. Something to think about when you make yours! Oh good idea. Its amazing what kids get into!! Seriously. Kids are such crazy creatures! Very nice work. Will visit burdastyle. 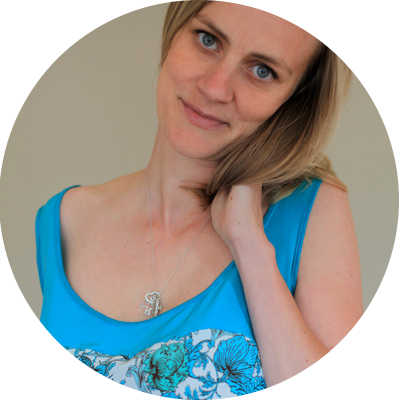 I found your blog by googling “Help with Burda 12/2011 142 – I’m not understanding the pocket!? What are the chances you have photos of the inside of the sweatshirt…. I just don’t understand what the first paragraph of the Burda assembly instructions are telling me. Are the pockets a kangaroo pocket -type thing? I did make a kangaroo-style pocket. There’s basically a bag inside the sweatshirt that I tacked down underneath the appliqué since it wasn’t attached anywhere other than the pocket openings. Let me know if you are still having trouble, and I’ll try to better explain what I did.